Why is Twizzlers Called Twizzlers? Twizzlers is a twisted rope candy produced in the USA. Made of enriched wheat flour, liquid sugar, corn syrup, artificial flavoring, shortening, and food coloring, Twizzlers was developed in 1929 by The Young & Smylie Confectionery Company. Twizzlers became really popular in the 1960s. In fact, Neil Armstrong’s second remark on the moon in 1969, after his “giant leap for mankind” statement was, “I could go for some Twizzlers right now.” I wonder if this off-the-cuff ad placement had anything to do with their surge in popularity. Hershey Foods Corporation has owned Twizzlers since they acquired Young & Smylie in 1977. In fact, Hershey’s website boasts that Twizzlers made the Guinness World Record in 1998 for the longest piece of licorice ever made. Just how long was it? A 1,200-foot, 100-pound Twizzler holds the world record for the longest piece of licorice! One would think with such a weighty achievement (pun intended), that all would love Twizzlers, but that is definitely not the case. The Twizzlers v. Red Vine rivalry is very real. It does not appear that there is any middle ground with Twizzlers. Twizzlers is a candy that people absolutely love or absolutely hate. Utah residents consume candy at twice the national average, and Twizzlers is a top choice when satisfying their sweet tooth. Twizzlers are part of Floyd Mayweather’s pre-fight diet. 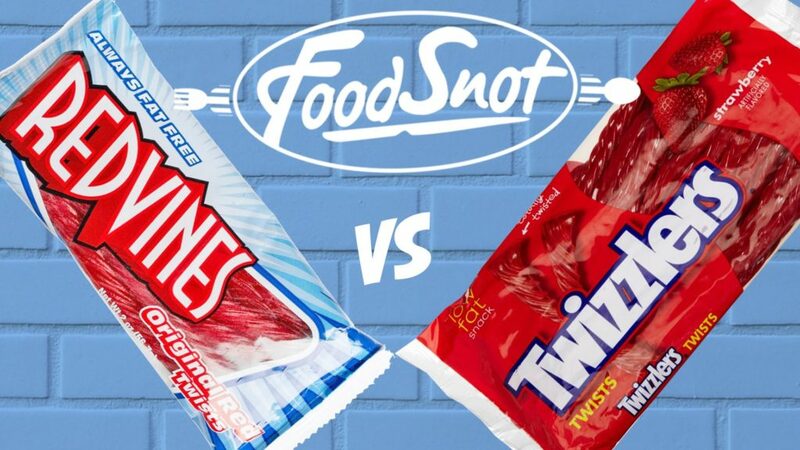 Yet in South Korea, Twizzlers were compared to eating rubber or “something that grandmas eat to practice chewing.” The rivalry between Twizzlers and Red Vines was scientifically tested at BuzzFeed and, though Red Vines bested Twizzler in the Straw Test, the Nutrition Test, and the Dog Test, Twizzler ranked higher by nearly 2 to 1. Why is it Called Twizzlers? Twizzlers was called something else once upon a time. Doesn’t that make you super curious? Well no one is divulging what that other name was, not a soul. They will only state that it was once called something else. So why are Twizzlers called Twizzlers and not something like Twists, which they are? That information is buried in the same vault as the Other Name Which Shall Remain Un-Named. I posit the theory that since the candy is twisted from a nozzle, with 1 full twist in every inch, that twisted plus nozzles equals Twizzlers. SEE ALSO: Why is Nerds Called Nerds? Also, Twizzlers are NOT licorice. They have no true licorice, Glycyrrhiza glabra, in them. In fact, Twizzlers calls them twists and does not state licorice anywhere on the packaging because they are comprised of sugar, starchy binder, artificial flavoring, and color.